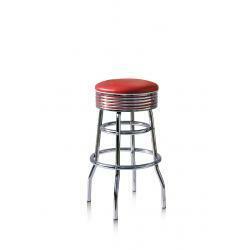 Bring the fifties back to line in any interior with our retro bar stools. 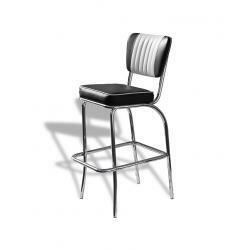 Our brightly coloured and chrome-detailed bar stools make for a true eyecatcher in your décor. 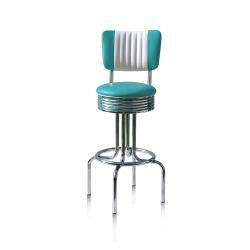 Combine them with our other retro furniture to feel as if you’ve walked into an American fifties movie every single day. 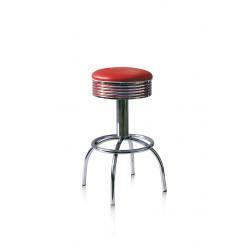 De Bel Air bar stools match perfectly with a seating corner, bar or table in a retro design. We will gladly help you design a stylish look for your home or business. 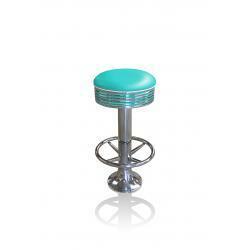 Create a unique fifties atmosphere in your American diner with Jolina’s retro bar stools. 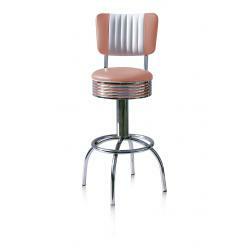 The chrome finish and bright colours bring out the real fifties look. At Jolina, you’ll find furniture in a variety of types, sizes, and heights. And not only do they look spectacular, they are also exceedingly comfortable. 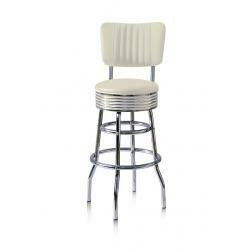 We produce our bar stools in our own factory, so that we can guarantee that you are getting the very best quality. 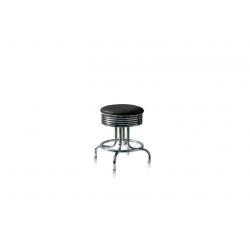 And that means that they are particularly suited for extensive use in your café, restaurant or living room. 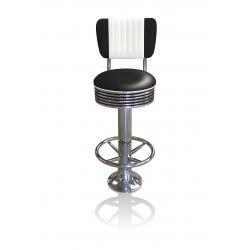 We bought the bar stools for our American diner from Jolina products. We hesitated between blue and red, and at the staff’s advice, we decided to choose both. It was a bold and risky choice, but it’s turned out to look spectacular. 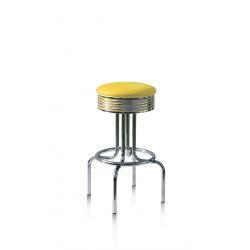 Combine the stools with other retro furniture to complete your interior. 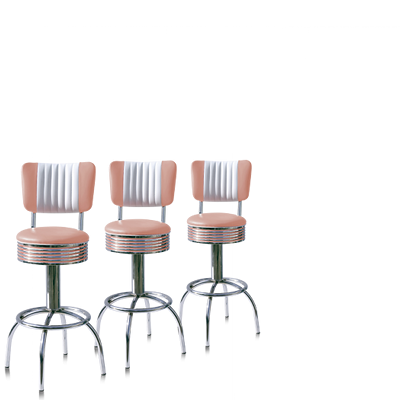 Choose a retro table with a chrome finish and surround it with, for example, our Bel Air fifties chairs in the same bright colour as the bar stools. This creates unity in the room and maintains the fifties look. If you would like your entire interior to be in fifties style, we also offer very stylish retro sofas for living rooms, bars and restaurants. 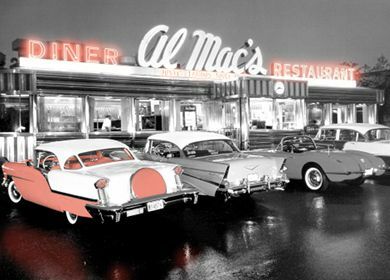 Our retro booths will also look magnificent in your American diner. Our furniture is available in 8 colours and can be delivered in solid colour or with a white stripe. 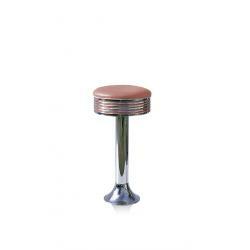 Our retro bar stools are sold in more than 60 locations in Europe. Enter your address below to find the nearest Jolina Products dealer. 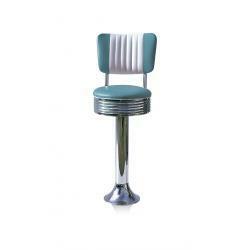 Would you like to become a reseller of our fifties Bel Air furniture? We will be glad to help you expand your range with our retro furniture. For more information about dealership, please contact us at 020 496 5038 or make an appointment in our showroom.